Sound Shaper makes it easy to record audio and save it. Change the pitch of the audio recording and many other settings. 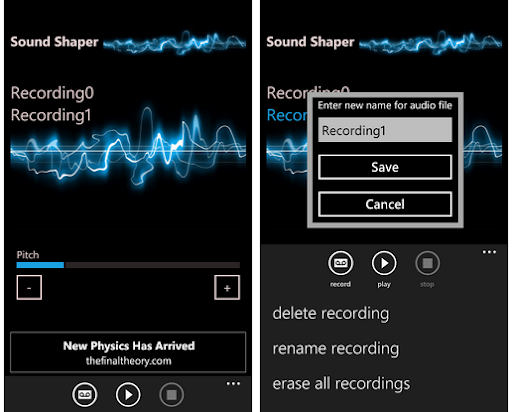 It is easy to record the audio just click on the record button and Sound Shaper will do the rest.